There are a lot “F” words out there, many that I would definitely prefer to use over others. 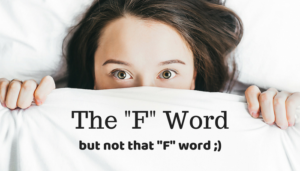 Today I share with you some of my most favorite “F” words! Financial: I love this word because it plays a huge role in what we do as meeting planners. 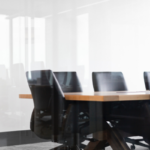 Does the cost of a meeting make sense? Is there a budget to accomplish all that needs to be accomplished? Is there a way to get creative in order to save on budget in one place so monies can be put toward other, more necessary, items/activities/etc? Let me know where you are at on financials and I can help you find the perfect spot for your meeting! Free: Who doesn’t like the word ‘Free’ but what does it mean? In my case, it’s two-fold: First, due to the buying and negotiating power of HelmsBriscoe, I am able to score free concessions and services for my clients. 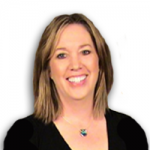 Second, my services are complimentary – I provide a huge value-add to my clients! Fabulous: Which makes my services a fabulous deal! Fun: I love what I do! I am blessed to have found a career that taps into both my skill set and passion. I also promise that, to the best of my abilities, I will make it all fun for you too! I am not fickle, nor a flibbertigibbet and I definitely not foolhardy. I am, however, fortunate enough to work with meeting planners, fizzy with excitement over what I can do for you – and fashionable if I do say so myself.